Telling a candidate they didn’t get the job is possibly the worst part of conducting a job search. But knowing how to turn a candidate down nicely and effectively is an important part of being a hiring manager. You need to bring on the most qualified applicants for the good of your company, but this naturally means saying “no” to most of the people who apply for the position, and telling a candidate they were not selected is part of the process. However, there is a polite way to say no to a candidate that will leave neither of you unhappy. Telling a candidate they didn’t get the job in a mature, professional manner will reflect well on you as an employer, keep the applicant from becoming discouraged or upset, and preserve your company’s positive reputation. Remember, sites like LinkedIn and Glassdoor make it possible for disgruntled applicants to post about their experiences. You want even rejected candidates to feel like they were listened to, considered thoughtfully, and let down politely if they didn’t make the cut. 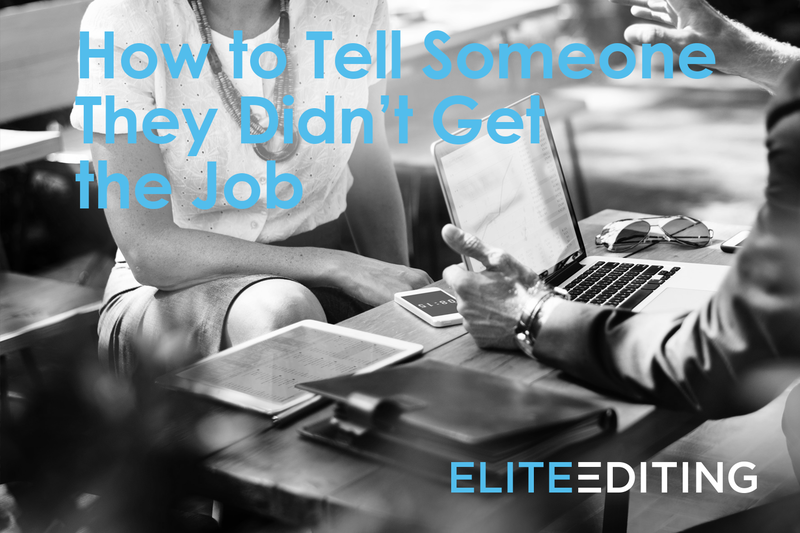 When deciding how to tell someone they didn’t get the job—in person, by phone, or by email—consider the stage of the process they’ve reached, the efficiency of communication, and the degree of encouragement you want to offer. Between crafting customized cover letters, résumés, and CVs and preparing for and going to interviews, candidates invest a lot of time in the companies that ultimately reject their applications. The polite way to say no to a candidate is to ensure they see that you respect their time. This means informing them as soon as possible, being as straightforward as possible, and treating them with respect. When determining how to tell someone they didn’t get the job by phone, timing is paramount. Call as soon as you know this person is no longer being considered. Start by thanking them for their interest in the company and for the time they invested in their application. Then simply say that after a thorough review of the materials, the selection team decided to go in a different direction. End by thanking the candidate again for their time and interest, wishing them well, and encouraging them to apply for positions relevant to their experience in the future. Of all the ways how to tell someone they didn’t get the job, by email is probably the most impersonal and least encouraging. However, it’s an appropriate way to communicate with a person if you don’t plan to take the application process further and invite that person for an interview. So if you’re wondering how to tell someone they didn’t get the job by email, follow the tips for how to tell someone they didn’t get the job by phone: respond quickly, be succinct and straightforward, and thank them for their time. Telling a candidate they were not selected in person is not something you’ll be faced with often. Typically, the process of deliberating happens after all the applicants have gone home. However, if the applicant is someone already working within the company, the polite way to say no to a candidate will be to pay them a personal visit. So if you’re wondering how to tell someone they didn’t get the job in person, keep it simple. Make the encounter brief, and get right to the point. Review the other tips on how to tell an applicant they are not hired, and use them. End with a compliment and some encouragement to reapply or a suggestion about what skills the applicant should look into acquiring to make the next application more successful. What you say when you’re telling a candidate they didn’t get the job is terribly important because it will linger in the disappointed applicant’s mind for a long time—and it will profoundly influence how that person talks about your company in the future. Don’t turn what could be a positive contact into a burned bridge. Part of knowing how to turn a candidate down is remembering that you represent your company, not just yourself. Emphasize your respect for the applicant’s time. The hiring team would like to thank you for the time and effort you put into your application. Thank them for considering your company. We very much appreciate your interest in the position of [job title] here at [Company Name]. Invite them to keep your company in mind for future openings. We encourage you to apply for future open positions that are a good fit for your experience and background. When you’re telling an applicant they didn’t get the job, some may ask for a reason. Offer specific feedback that doesn’t mention unchangeable things like their voice or age. When determining how to tell an applicant they are not hired, start with two or three specific positives and then offer them something that didn’t work that they can change for future interviews. For example, if they were late—and if that factored into your decision—explain that if they were running late for the interview, they should have called to let you know. If, after being rejected, the applicant asks about other candidates for the job, kindly explain that there was another candidate whose experience was a better fit for the position. Point out that privacy laws prevent you from discussing applicants with one another. 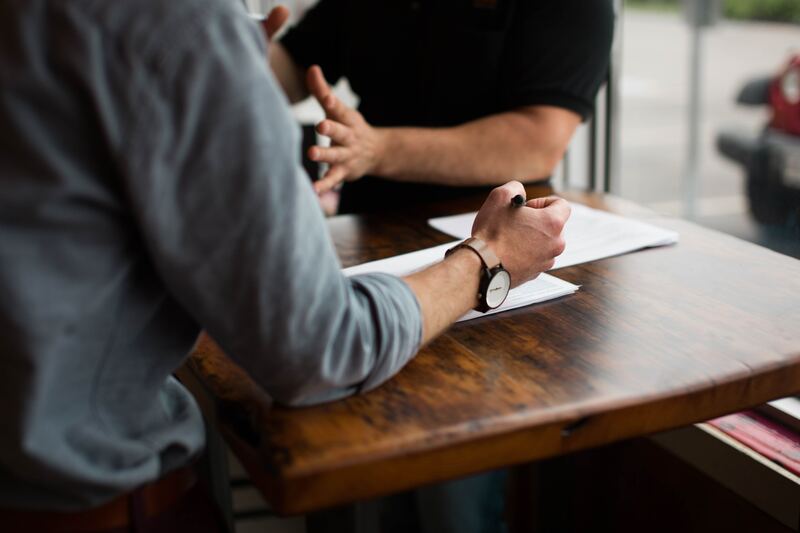 With these tips, you can be sure that you’re telling a candidate they were not selected without any awkward, uncomfortable, or legally precarious situations arising. Hopefully, these ideas will make this task a little bit less difficult now that you know some of the ways to let a candidate down more easily and in a way that doesn’t harm your company’s good standing.